What is Brazilian Mint Garnet? Garnet is one of the most popular gemstones, loved by royals, nobles and aristocrats all across the world. These enthralling gems come in numerous varieties and have been widely used for ornamentation purposes since ancient times. Among several interesting variants, Brazilian mint garnet is one of the rarest varieties. 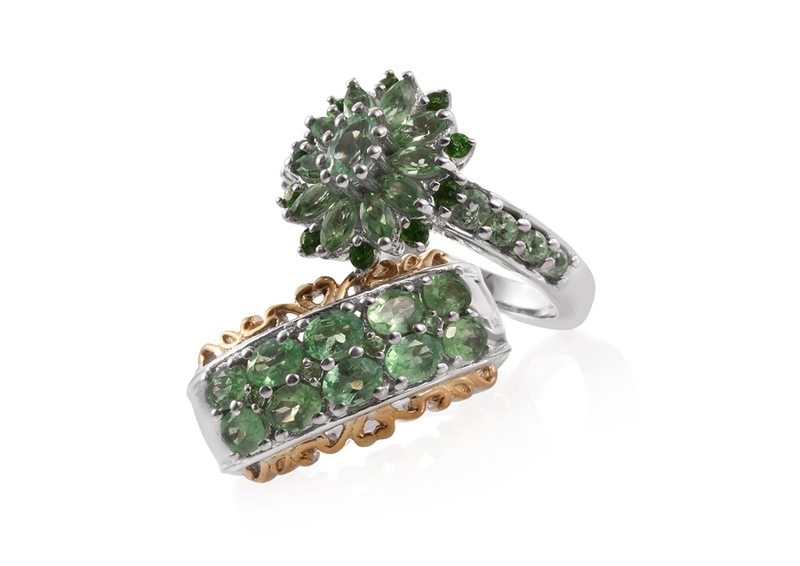 Brazilian mint garnet is a variety of tsavorite garnet, a rare and exotic garnet available in an uncommon green hue. 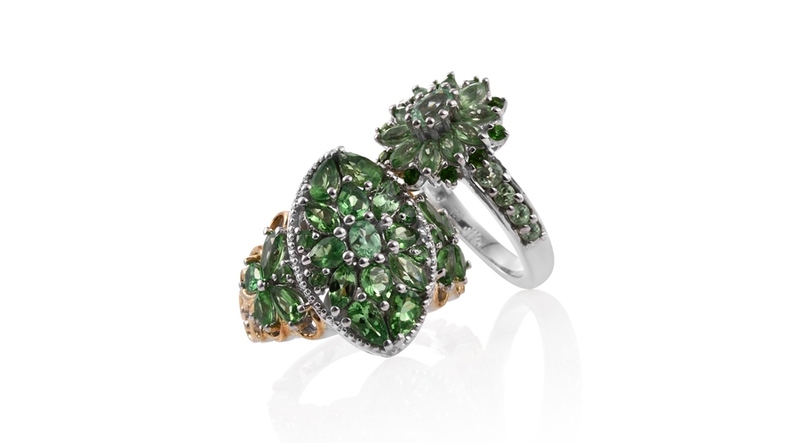 Brazilian mint garnet presents a fresh new option for any garnet fan, and lovers of green. Verdant pastel shades dominate this tsavorite variety, enabling gem connoisseurs even more options when selecting green gemstones. Is Brazilian mint garnet valuable? The value of colored stones is typically determined by a combination of its color, cut, clarity and carat weight. These guidelines will help you choose mint garnet for your collection. The gemstone displays a soft pastel green or bluish-green color. 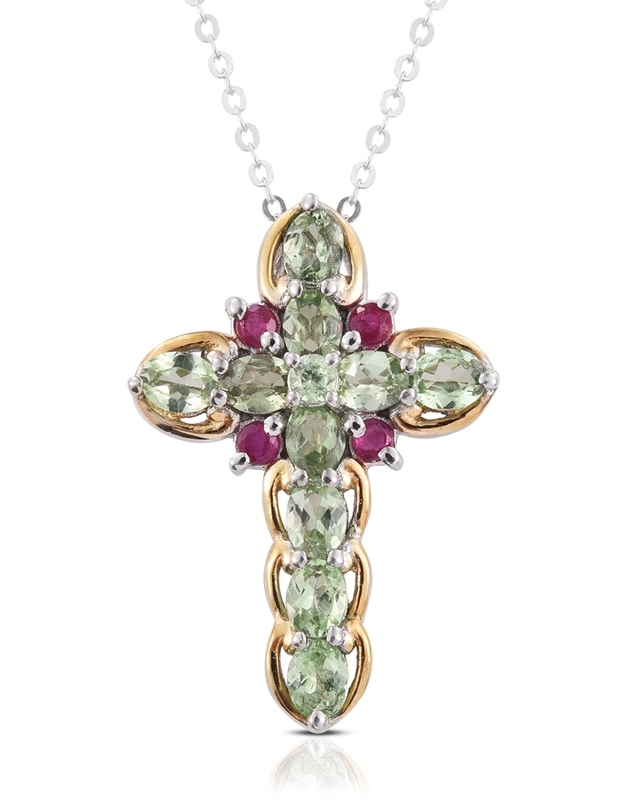 The crisp and cool green tones keep Brazilian mint garnet looking fresh and joyful. Mint garnet is colored due to trace amounts of vanadium or chromium in its chemical composition. This variety of garnet is generally found with no eye visible inclusions. With Type II clarity, the gems are popular for their refreshing light green shade. It is a transparent gemstone with vitreous luster. Garnet has an isometric crystal system. Brazilian mint garnets are generally found in small sizes. The small gems are cut and shaped according to jewelry settings. While shaping the gemstone, the purpose is to retain maximum weight while fashioning it in the most attractive manner. Shapes like cushion, trillion, oval and round are quite popular in this gemstone. Mint garnets are getting very difficult to find in sizes above two carats – even gems over a carat are becoming quite expensive! As carat weight goes up, the price of the gem increases sharply, especially in fine specimens. No known treatments are done to this gemstone. Ranking 7 to 7.5 on Mohs scale of hardness, garnet is suitably resistant to scratching or abrasion. It has fair to good toughness, which makes it a durable gemstone for daily use. The best way to care for your stone is through the standard gem and jewelry care. Clean with a soft bristled brush, lukewarm soapy water, rinse with fresh cool water, and dry with a soft cloth. Avoid ultrasonic or steam cleaners as these devices can damage the stone and can lead to external abrasions. Avoid heat or harsh chemicals, which can also damage the appearance of the gem. Store mint garnet jewelry in a clean and dry place such as a fabric-lined jewelry case or box with compartments and partitions to prevent jewels from scratching each other. Who Can Wear Brazilian Mint Garnet? Lovers of nature and greenery will adore this exotic gemstone. With pastel green shades and an enigmatic hue, the rare mint garnets help you experience the greenish blue charm of the sea. The gorgeous gemstone set in gold, silver or platinum can give a refreshing touch of class and amplify your appeal in seconds. The captivating allure of mint garnet makes it a perfect pick to wear for daytime engagements or evening outings. Pamper your loved one or express your feelings to your partner with strikingly beautiful mint garnet jewelry on any special occasion. Garnet is the traditional gift for the second wedding anniversary. Mint garnet jewelry gives a refreshing look and the enduring color of this stone makes you feel like you are on vacation. How Does Brazilian Mint Garnet Compare to Other green Stones? If you are a lover of refreshing color tones and an admirer of natural beauty, Brazilian mint garnet will impress you. With its lustrous appearance, amazing clarity and cool pastel hues, this variety is an excellent alternative to green gems like green tourmaline, peridot and green fluorite. How is Brazilian Mint Garnet Mined? As the name suggests, Brazilian mint garnets are sourced from Brazil. The gem experts at Shop LC share that extracting the gems from their host rock is a complicated, tedious process. It requires leading-edge machinery and technology to prospect and mine the rough material. Extracted rough runs on the small size, so larger finished specimens of mint garnet are relatively rare. Garnet effectively treats anxiety and brings a certain level of composure as a result. In times of crisis and depression, the gem imparts mental calmness and a sense of protection. It also helps in boosting confidence and spirit of the wearer. Some people consider garnet as ‘the stone of health’ due to its outstanding mental and physical healing features. Wearing a garnet jewel bolsters one’s immune system and improves blood circulation. It is also believed to help in curing skin problems and assist in revitalizing and energizing the body. EGarnets are considered lucky in business as well as in relationships. It has amazing properties of elevating self-belief and positivity to move ahead in life. Reducing fear, insecurity and financial loss are some of the major properties of garnet. What Does Brazilian Mint Garnet Mean? Is Brazilian Mint Garnet a Birthstone? The beautiful garnet is the modern birthstone for January. The crisp green hue of Brazilian mint garnet gem is an excellent alternative to the traditional reds offered by this stone. 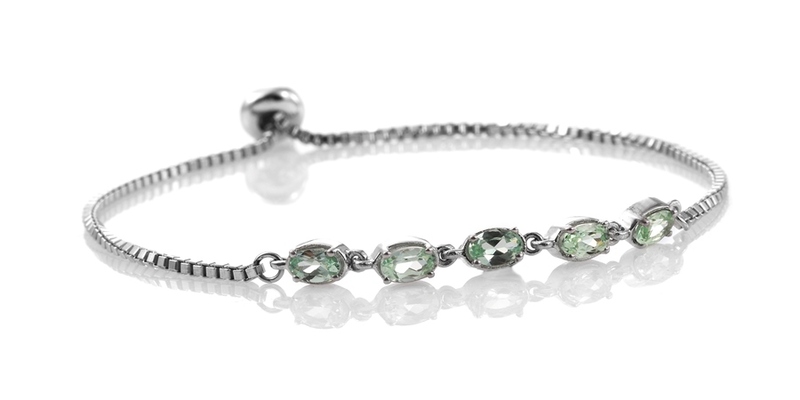 Brazilian mint garnet presents as soft pastel green or bluish-green. It is sourced from Brazil. This stone is not known to be treated. A rare variety of Tsavorite garnet.